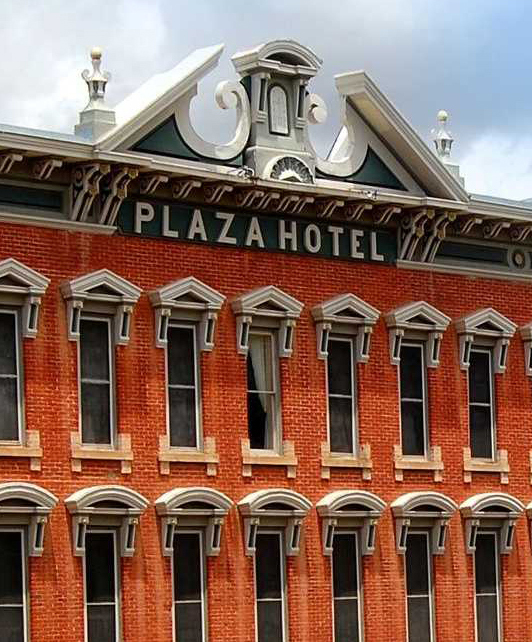 The historic Plaza Hotel is located on the north side of the old town plaza in Las Vegas, originally an area where wagons were parked, at the intersection of Plaza Street and South Pacific Street. We are located in the center of historic old town Las Vegas overlooking beautiful Plaza Park, at the intersection of Plaza Street and South Pacific Street. Take I-25 North toward Denver. Vegas NM is about an hour north of Santa Fe or an hour forty-five minutes from Albuquerque. Vegas has three exits on I-25, any will get you to the Plaza but its best to take the second one, to University Ave. This goes left over the freeway to historic downtown. Turn right (north) at the first light: Grand Ave. Then left (west) in two blocks onto W National Ave. National becomes Plaza St. and dead-ends at Plaza Park. The hotel is on your right! Take I-25 south toward Albuquerque & Santa Fe. Vegas NM is about four hours south of Denver. Vegas has three exits on I-25, any will get you to the Plaza but its best to take the second one, to University Ave. Go right from the freeway off-ramp to historic downtown. Turn right (north) at the first light: Grand Ave. Then left (west) in two blocks onto W National Ave. National becomes Plaza St. and dead-ends at Plaza Park. The hotel is on your right! Amtrak’s Southwest Chief is a wonderful and romantic way to arrive. The train stops in Vegas right at the Castaneda Hotel twice daily, once eastbound to Chicago and once westbound to Los Angeles. It’s about one mile from the Castaneda and Vegas depot to Plaza Park and the Plaza Hotel. 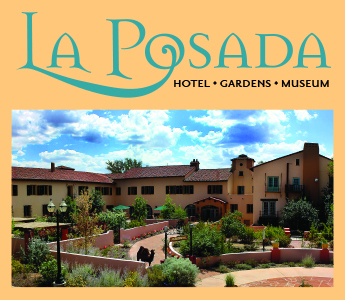 If you come by train call the hotel for local transportation options: 505-425-3591.